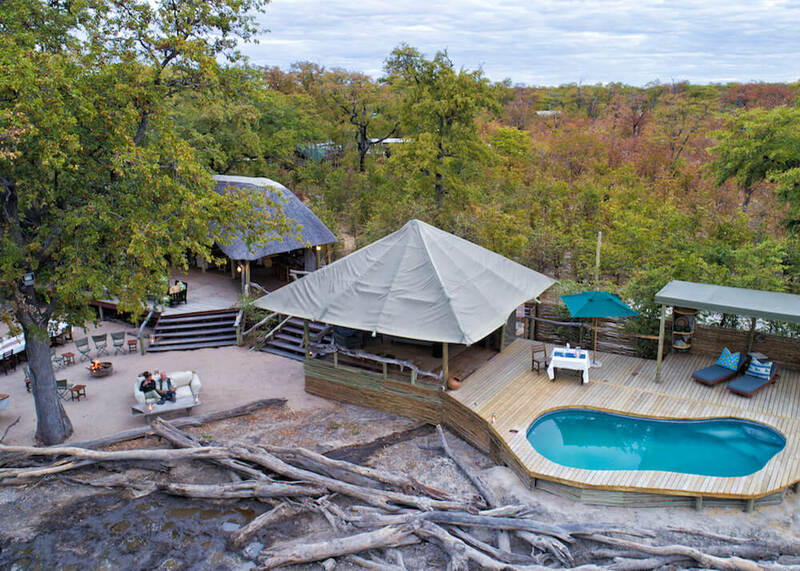 Located in a private concession on the edge of the Moremi Game Reserve, Hyena Pan combines classic tented accommodation with a great variety of safari activities. 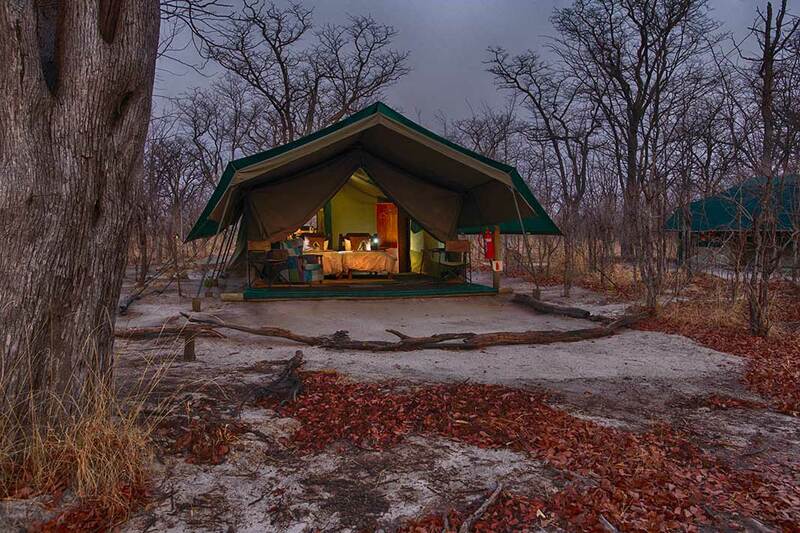 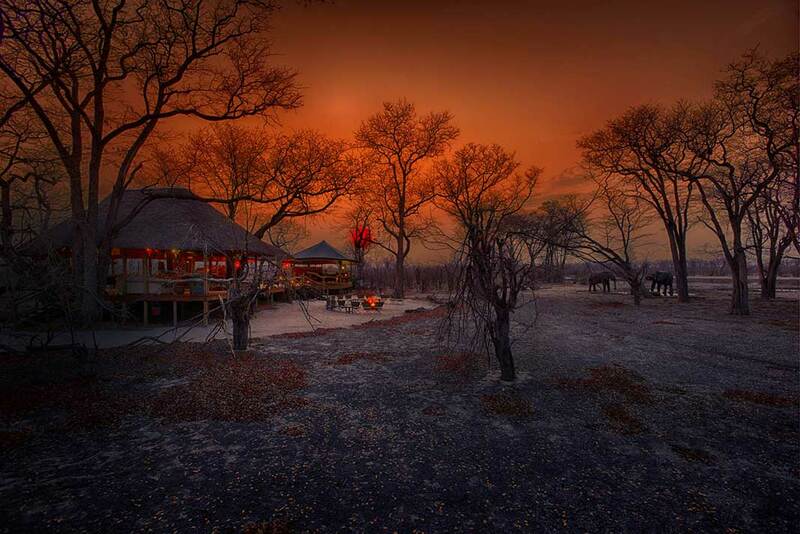 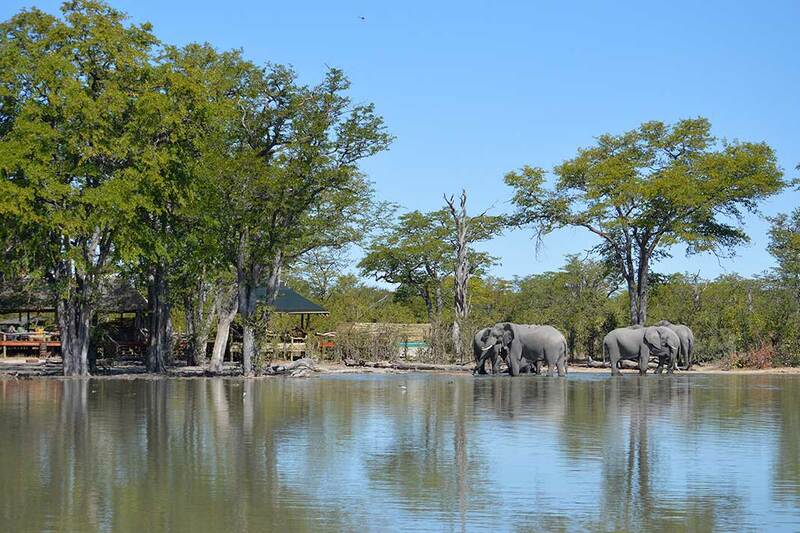 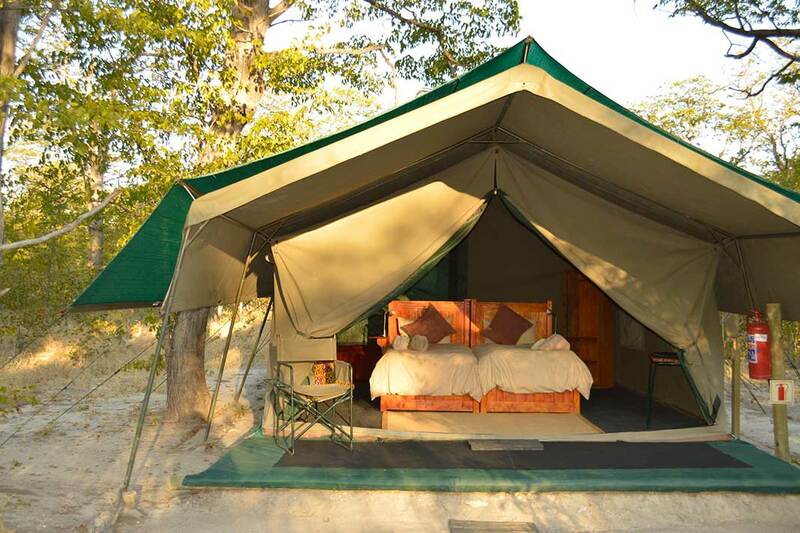 The camp is located within the 350,000 hectare Khwai concession which in turn sits inside the Okavango Delta, so the game-viewing opportunities are outstanding. 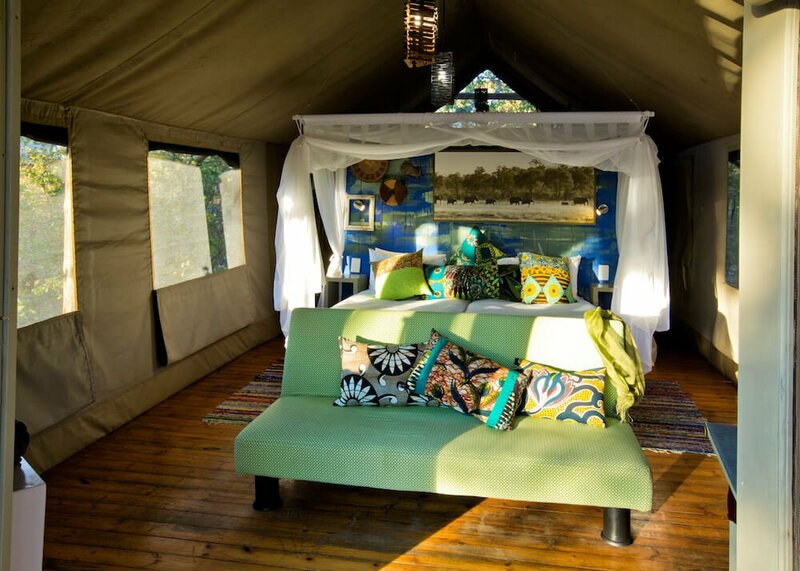 Accommodation is comprised of eight en-suite tents, simply but comfortably furnished with twin beds, indoor showers, wardrobes and reading lamps. 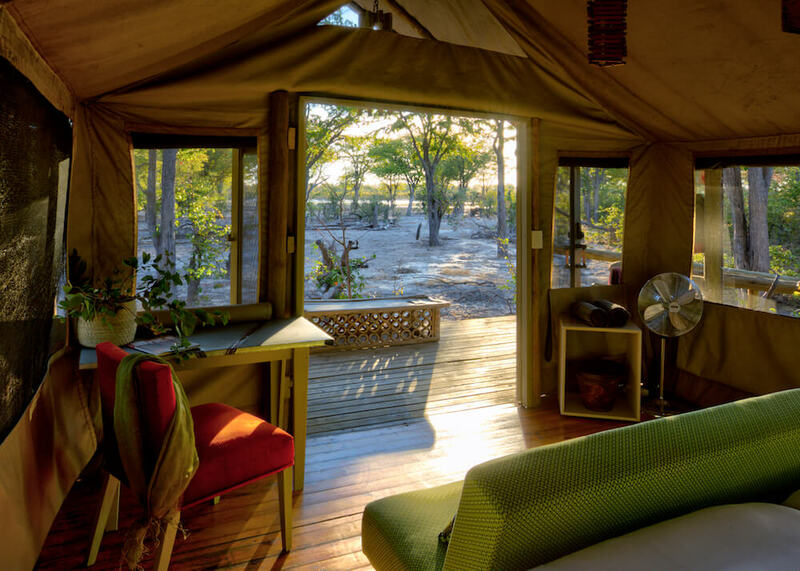 You’ll find no phone signal and Wi-Fi in your room, which allows you to truly disconnect from the outside world and immerse yourself in the natural wilderness that surrounds you. 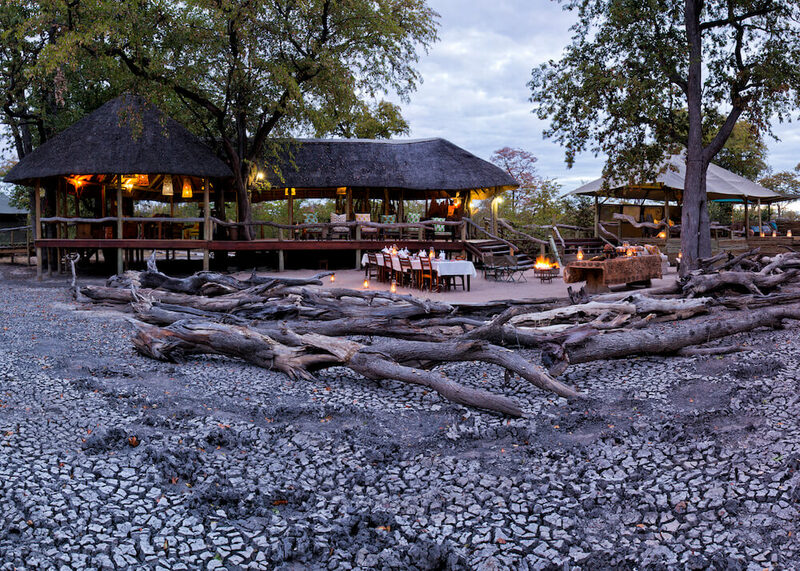 Choose to stay here on your luxury, tailor-made holiday to Botswana and you’ll have the flexibility to choose what activities you enjoy each day. 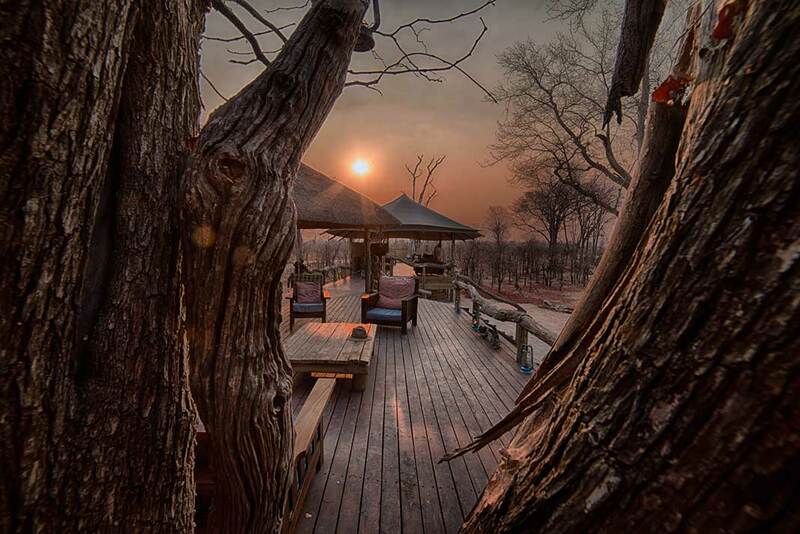 You could start with a morning game drive through the Khwai concession in search of leopards, lions and wild dog, or set off to explore the Moremi Game Reserve. 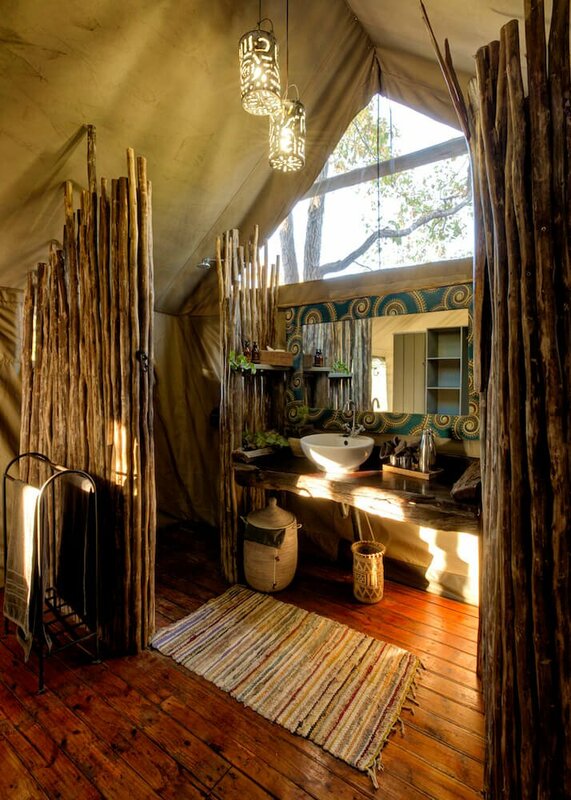 Perhaps you’d prefer to relax in the camp’s underground hide where, hidden from view, you can watch in wonder as elephants, antelope, giraffe and buffalo come down to the waterhole to drink. 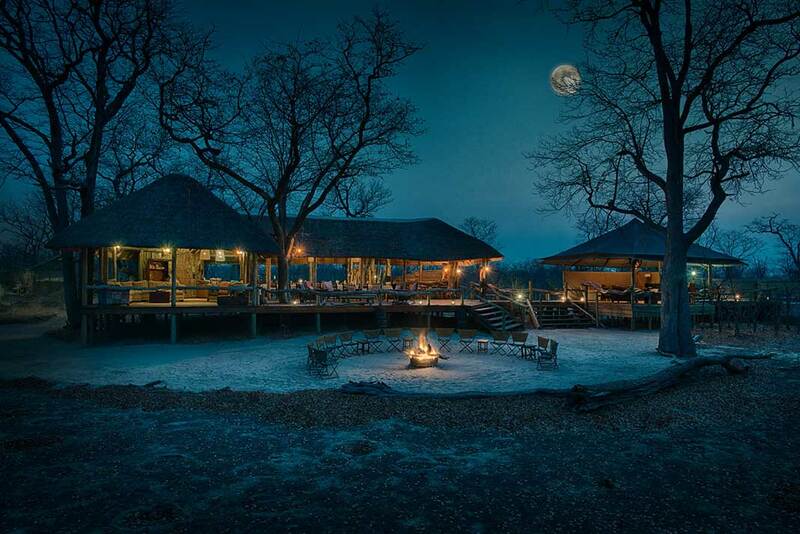 And what better way to end the day than by drifting off beneath the starry African sky in one of the camp’s elevated Skybeds.